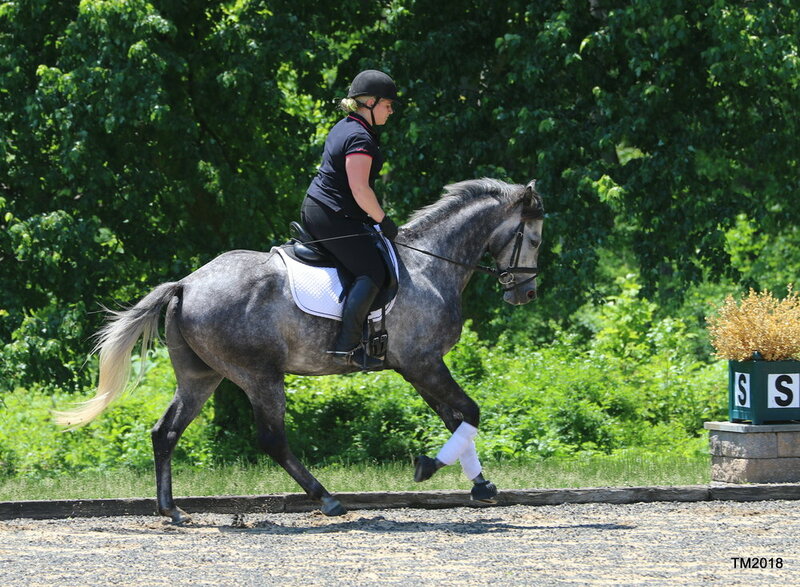 LASSO LA LUNE: 2014 GREY GELDING. REGISTERED AMERICAN WARMBLOOD REGISTRY. 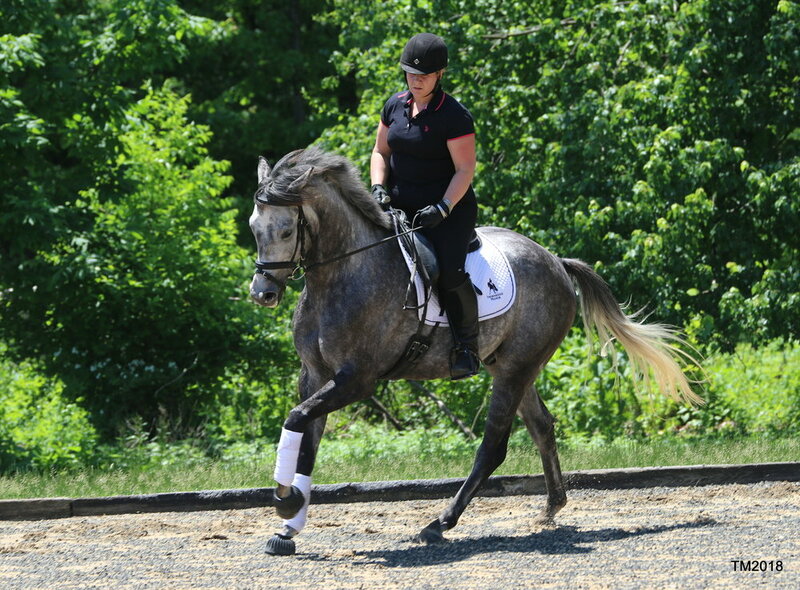 SIRED BY THE WESER EMS APPROVED/AMERICAN WARMBLOOD REGISTRY APPROVED LEANDROS (LESANTO/LANDGRAFF) OUT OF THE TRAKENER DAM ZEJALUNA (PALMENHAIN). MEASURES 15.3H AS OF NOV 2018. 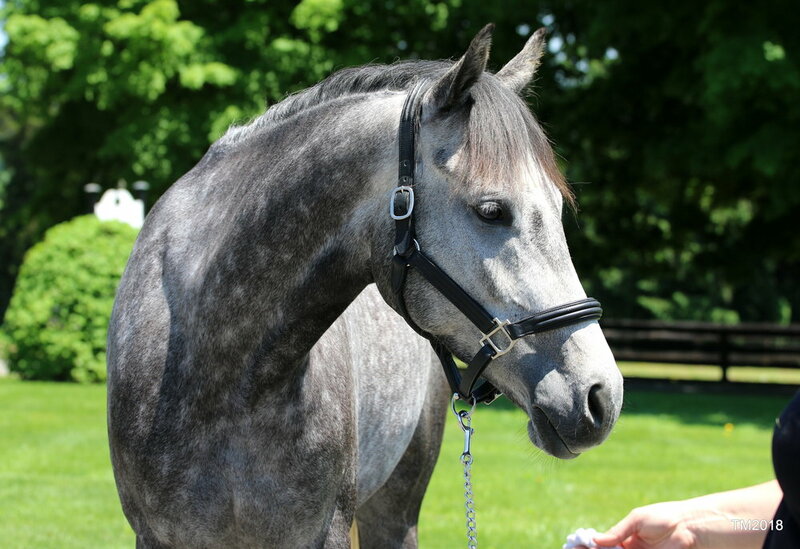 BLOODLINES/BACKGROUND: Bred by our partner, Flying Lion Farm, Lasso is registered AWR. His sire, also bred & owned by FLF, LeAndros/LeSanto has a solid history of producing premium foals that move onto successful performance/show careers. Phoebe has successfully competed several of his offspring including Lovin Life FLF, Cleandra FLF & Felicity FLF. Lasso's dam, Zejaluna, was actually a resident at Thornridge during her pregnancy of Lasso!!!! 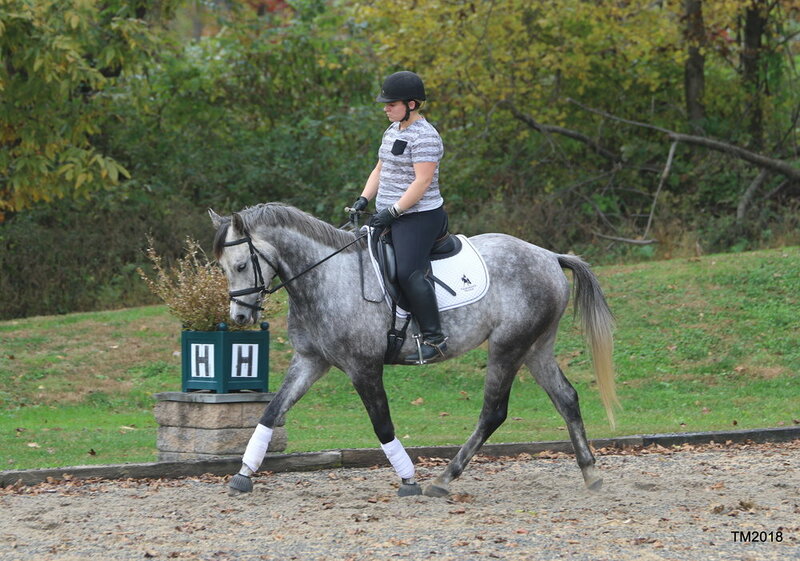 This wonderful mare was leased to one of our young riders at the time. 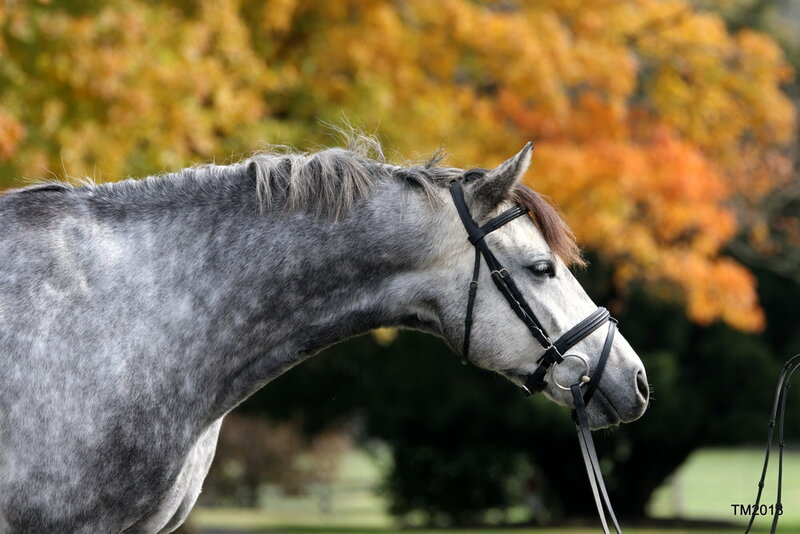 Zejaluna was tricky to get pregnant, so she only had three offspring for FLF: ZejaVu, Shamus FLF & Lasso La Lune FLF. ZejaVu boasts an long yearly list of both Hunter & Dressage Sport Horse Breeding Awards AND has become a top producer of FLF offspring. 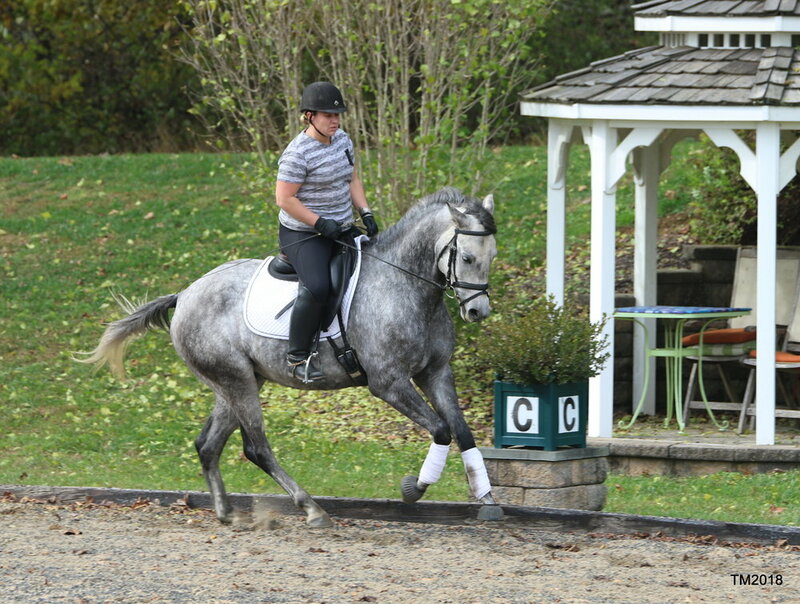 Shamus was an incredibly talented competition mount for Phoebe, trained thru solid 3rd Lvl with clear FEI potential, and sold in house to an equally talented student -- the pair will be making their show debut in 2019! Our Thornridge Family actually named Lasso!!! We have known him since he was born and have visited him every year in FL, until April 2018, when we hand picked him to join our undersaddle-sales-line-up! APRIL 2018: Phoebe rode several FLF youngsters, in FL, and picked LASSO to bring back to Thornridge. There was only space for one horse on this trip and Lasso was THE CHOSEN ONE!!! 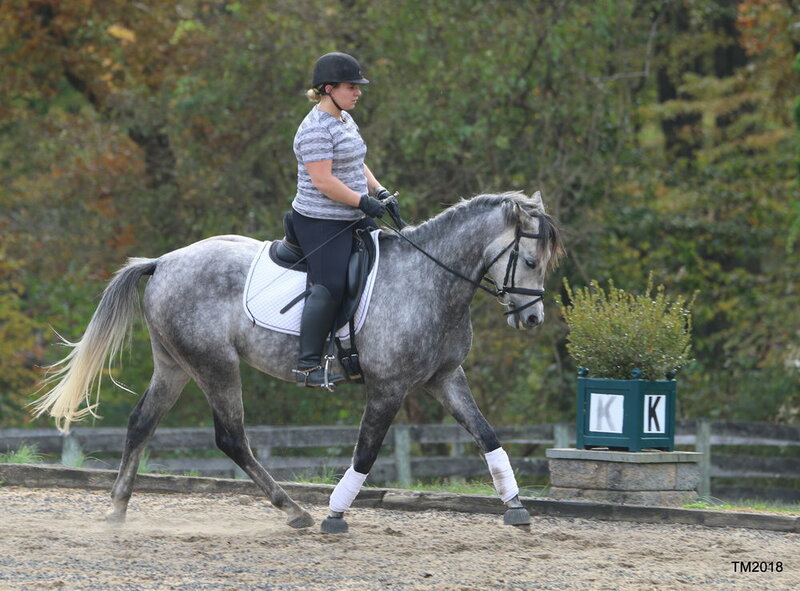 He had been lightly undersaddle since Jan 2018 and was easy W/T/C in an open hay field. Lasso answered all of Phoebe's advanced questions, with ease, and transported back to MD, with ease. Upon arrival to MD, he never put a foot out of place; it was as if he had lived here forever (well, he was actually here while inutero!). His barn manners were perfect -- his ground manners perfect -- his field manners perfect -- his riding easy & ready to blossom!! !